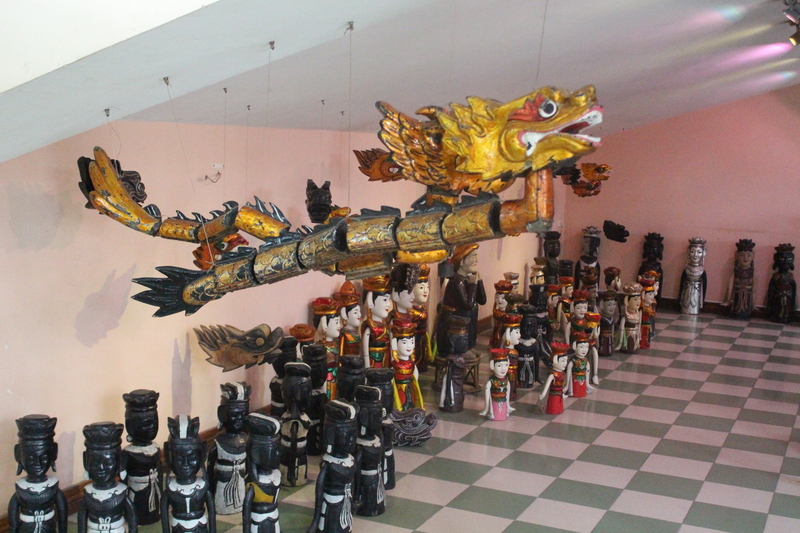 We saw a great water puppet show today. At least I think we did – I was asleep. We had got off the train early after a bad night’s sleep cause I went to bed late, so really it’s not my fault. First we went to lunch. We got tons of things – spring rolls, spicy tofu soup (for some reason I got this to myself), rice and (in sarcastically cheery voice) vegetables!!!!!!!!! Yayyyyyyyy. It was the restaurant’s grand opening so the owner gave us tons of stuff for free. Free tea, free dragon fruit, free apples, free pineapples and free peanuts. In total it was $15 for seven of us to have lunch. Pretty good. 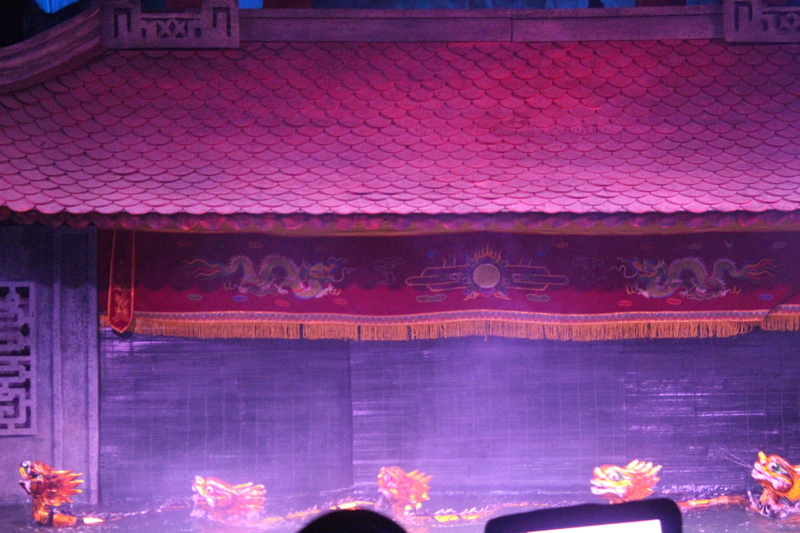 Then we went to the water puppet show. It was sold out. Because I went in the row first of my family, I got stuck sitting next to a total stranger. At first the puppets were pretty cool. They had dragons that spewed fire and a cat that went up a tree. 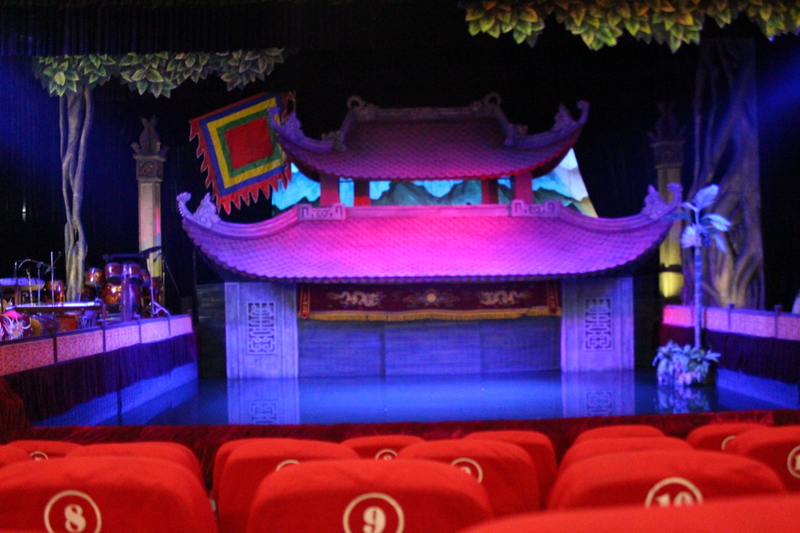 But the narration was in Vietnamese so I soon lost interest. I had my head in my hands and my elbow on the armrest. But my arm kept dropping and I can’t sleep with my head down so I slouched but that didn’t work so I just sat up straight with my eyes closed and I soon drifted off. I don’t know how long I was asleep for but woke up to a nudge. As it turns out when I fell asleep I had put my head on the stranger next to me. After that I was wide awake so I asked Paris what time it was. She said “3:40”. Okay, I thought – 5 minutes left. I watched the end of the puppet show and we went out with the crowd. 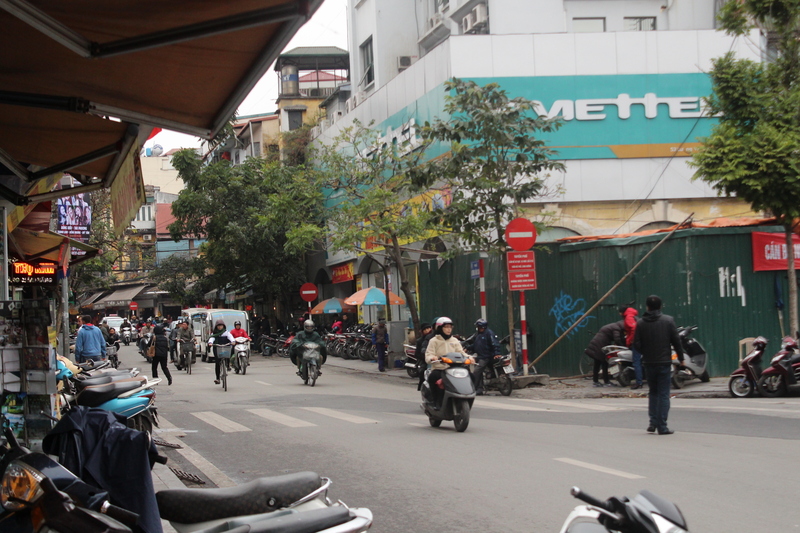 And almost got run over – as usual in Hanoi! Yeah, Onlyboy! Glad to find hear from you. Keep writing cause we miss having you around.